While the season is starting to wind up, the results keep ticking over for GB Snowsport with another series of great performances over the weekend. With action across a range of disciplines, British athletes secured three Europa Cup victories and three more podiums, World Cup medals in para alpine, top 10 performances at World Cup Finals, plus the emerging park and pipe talent delivered fantastic results in Europe and North America. Charlie Guest is in the richest form of her career and capped off a stellar month of racing with slalom victory at the Europa Cup Finals in Italy. The 25-year-old led the field after the first run and held onto her advantage to win by 0.28sec. 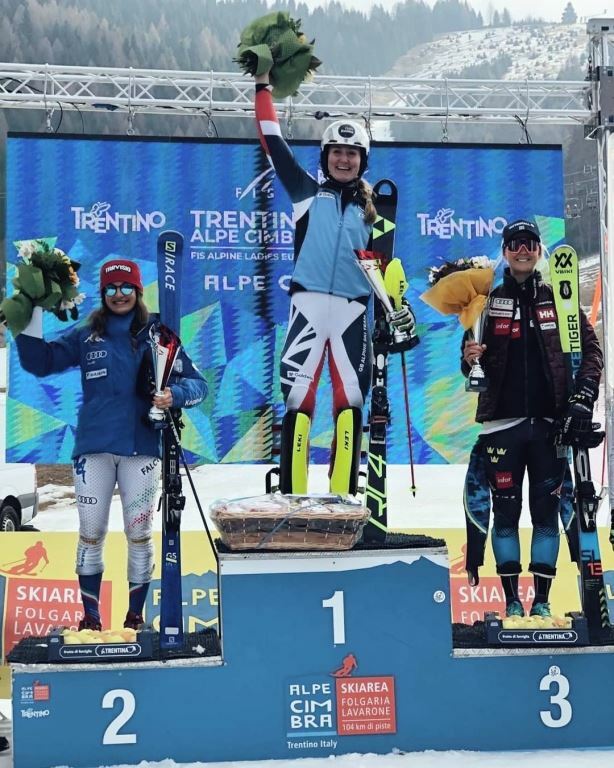 Two weeks ago Guest scored Britain’s best ladies’ alpine Europa Cup result when she was second in Slovakia, and she now joins Dave Ryding, Alain Baxter and Finlay Mickel as the only British alpine skiers to win a Europa Cup event. The previous day, Alex Tilley was 30th after the first run of the giant slalom before skiing first for the second run when the sent down the fastest time to climb to 15th. At the World Cup Finals in Andorra, Ryding finished 12th in the slalom which left him ninth overall on the season’s standings. Menna Fitzpatrick and Jen Kehoe closed out the La Molina World Cup with another third-place in Saturday’s slalom. The pair finished the event with four medals from five races and they will quickly turn their attention to the final World Cup of the season in Morzine this week. In the men’s visually-impaired category, Neil Simpson and guide Andrew Simpson raced to fourth place in Saturday’s race. A Europa Cup race winner earlier this year, Simpson was just 0.30sec away from his first World Cup podium. Charlotte Bankes has scored another fantastic result at the World Cup Finals in Switzerland where she finished fourth. The 23-year-old won both her quarter-final and semi-final to qualify for the big final, however a crash soon after the start left her off the podium. She finishes her first World Cup season in British colours ranked fourth overall. Bankes’ final event of the season will be at this week’s Europa Cup in Lenk where she will compete alongside fellow Brits Maisie Potter, Kyle Wise, Chris Gregory and Bradley Gaulter. GB Moguls have put on a show at the Europa Cup Finals in Switzerland with a series of podiums. In Saturday’s individual events, Thomas Gerken Schofield and Will Feneley led a British one-two on the men’s podium while Makayla Gerken Schofield was second in ladies’ event. In today’s dual moguls, Thomas was again victorious while Makayla claimed her second podium with third place. Another dual moguls event is scheduled for tomorrow. After recovering from the illness which hampered his 50km race in Oslo last week, Andrew Musgrave bounced back to finish eighth in yesterday’s 15km free skate in Sweden. It was Musgrave’s fifth top 10 of the World Cup season in addition to three more top 10s at the World Championships. On Saturday, Andrew Young was the best-placed GB Cross Country skier in the skate sprint. Young qualified eighth in the prologue but was eliminated in the quarter-finals, finishing outside the top two in a four-way photo finish. Musgrave, Young and James Clugnet will wrap up the World Cup season this weekend in Quebec, Canada. GB Park & Pipe’s emerging talent put in some fantastic performances at a number of events across the weekend. 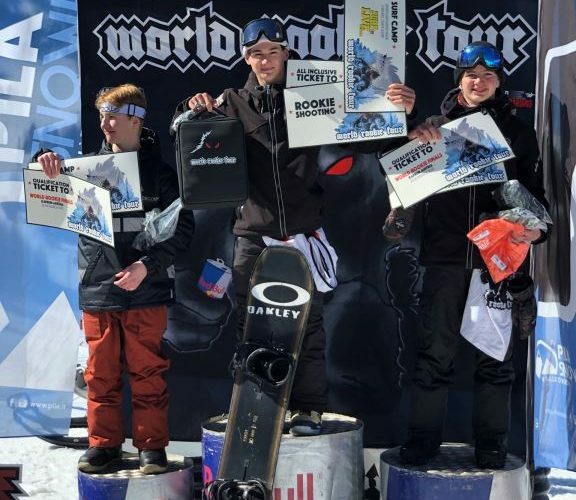 At the World Rookie Tour event in Italy, snowboarder Gabe Adams was victorious in the rookie boys category. 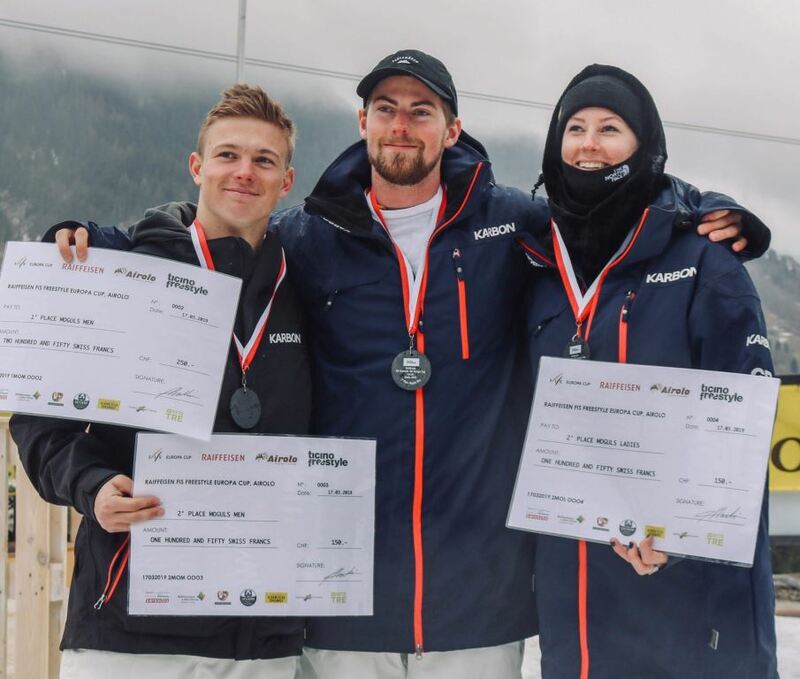 It was a British one-two on the podium with Adams’ European Youth Olympic Winter Games teammate Ethan Smith finishing second. Amber Fennell also scored second place in the grom girls event. At the Kids Laax Open, Mia Brookes won the snowboard slopestyle event in the Under 13 category and also finished second in the halfpipe. And at the Nor-Am Cup in Mammoth Mountain, World Junior Champion Connie Brogden finished third in the ski halfpipe. She also placed seventh in slopestyle while Sam Gaskin was 20th in the men’s halfpipe. Jasmin Taylor will lead the GB Telemark charge when the World Championships take place in Norway this week. Taylor achieved seven World Cup podiums this year, including one victory, and will be hoping to add to the pair of bronze medals she picked up at the 2015 and 2017 World Championships. The 25-year-old is the only British skier competing in the ladies’ events, Louis Hatchwell, Ben Emsley, Jack Emsley, Sion Bingham and Colin Dixon line up in the men’s races. The World Championships kick off with the classic on Wednesday before the sprint on Friday and parallel sprint on Saturday. The Telemark World Championships will be streamed live at www.livestream.com/teleho from Wednesday 8:30am.